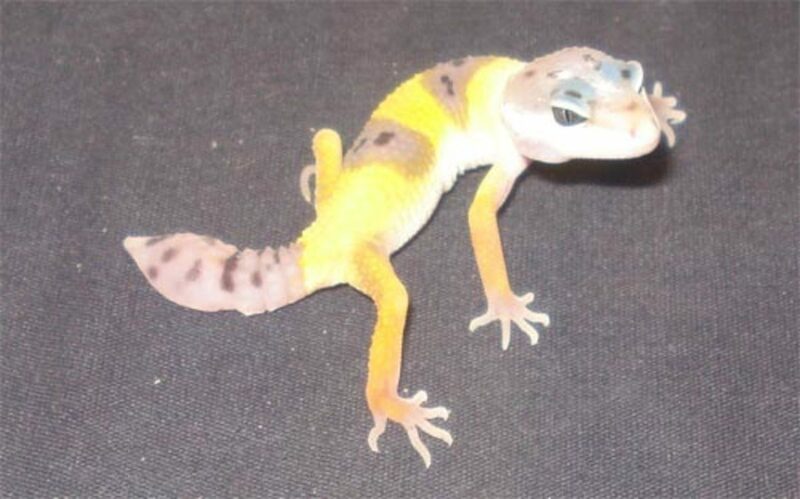 In my 5 years of working with leopard geckos, I have never had a leopard gecko drop its tail, until this year. While changing my leopard gecko hatchlings from my old rack to my new one, one of my tangerine leopard gecko hatchlings dropped her tail. When transferring the gecko from the holding container to the new rack, I picked up the gecko and it tried to jump out of my hands, but I grabbed the gecko with my other hand. Big mistake, as I grabbed the tail. The tail quickly started shaking and wriggling, and at first my thoughts were "I'll quickly put her in tub so that she doesn't drop her tail." Well, what I didn't notice was that the tail was already halfway of, as it was torn half way through. The second I put the gecko in the tub, the tail flopped right off. Since this was my first experience with a leopard gecko dropped tail, I was slightly worried, but I knew exactly what to do, as I have been working with reptiles for 5 years. 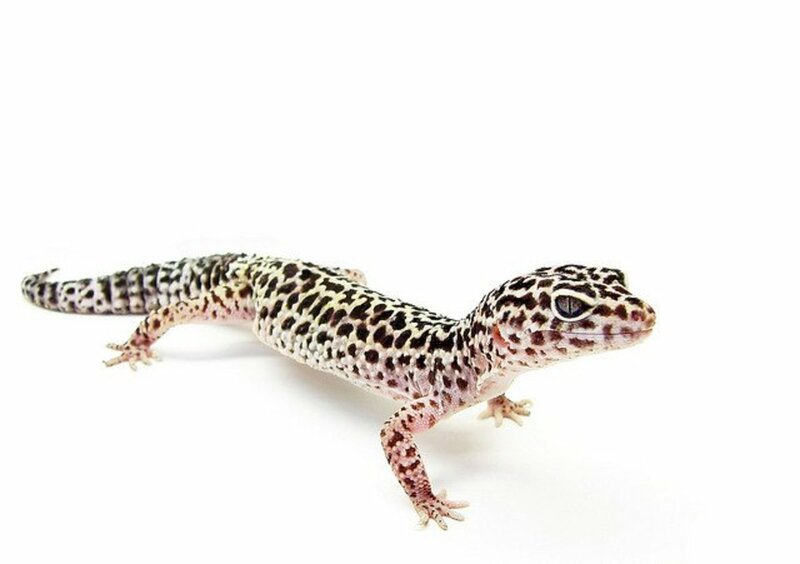 You may find different treatment options for your leopard gecko if it drops its tail, but the following are the basics to caring for a leopard gecko that has recently dropped its tail. Plus this is what has helped my tangerine leopard gecko hatchling heal up and recover nicely. Why do geckos drop their tail? 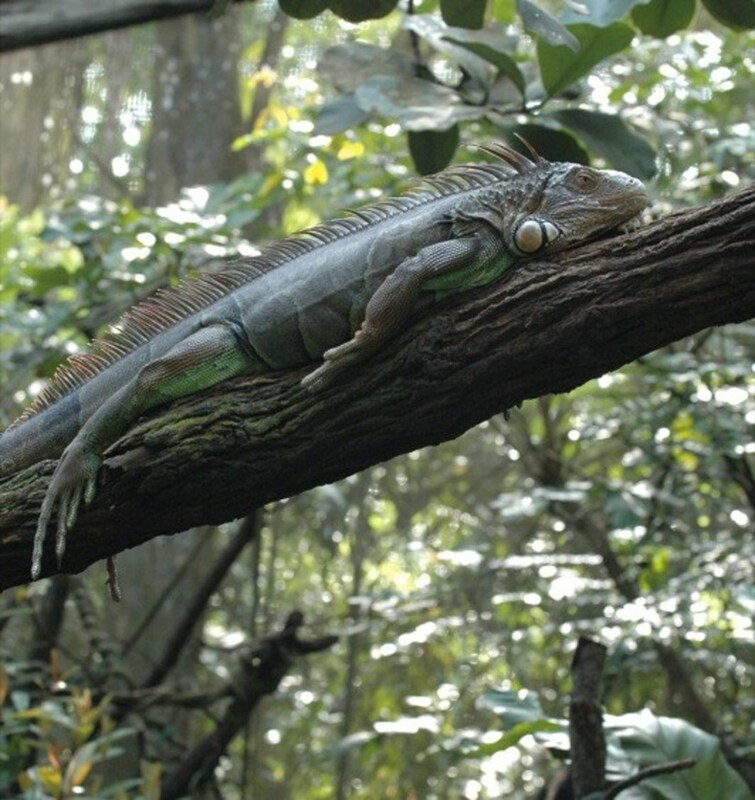 Tail dropping is a defense mechanism that helps the reptile escape predators. 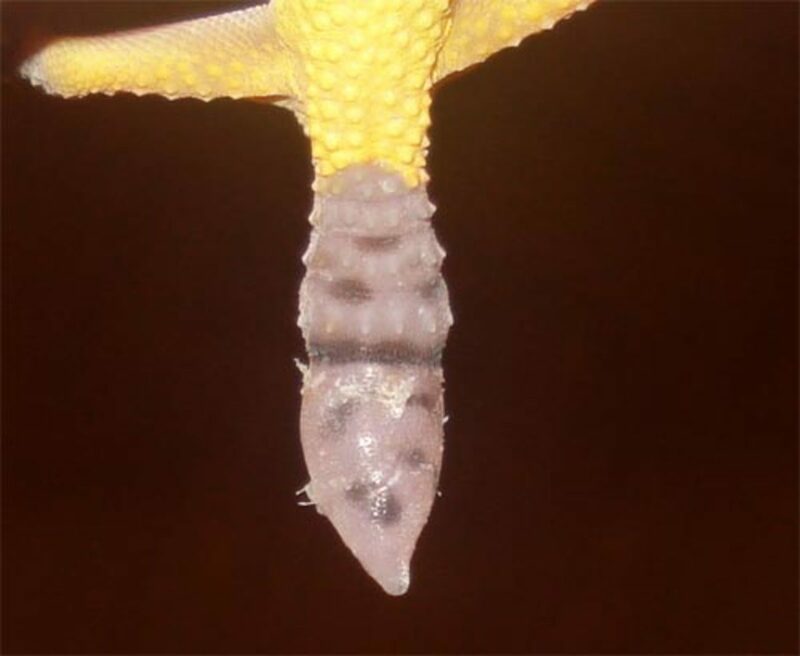 Many geckos and smaller lizards do not have any real defense mechanisms, such as secreting nasty oils when bitten or playing dead when harassed, so they rely on their tails to help them get away from predators in the wild. When the bird, mammal, larger reptile, or any other predator tries to grab at the small gecko, it can drop its tail to distract the predator long enough to dart off into safety. When the gecko, or small reptile, drops its tail, the tail continues to wriggle and flop around (as seen in the videos to the right) to distract the predator, giving the gecko enough time to find safety. 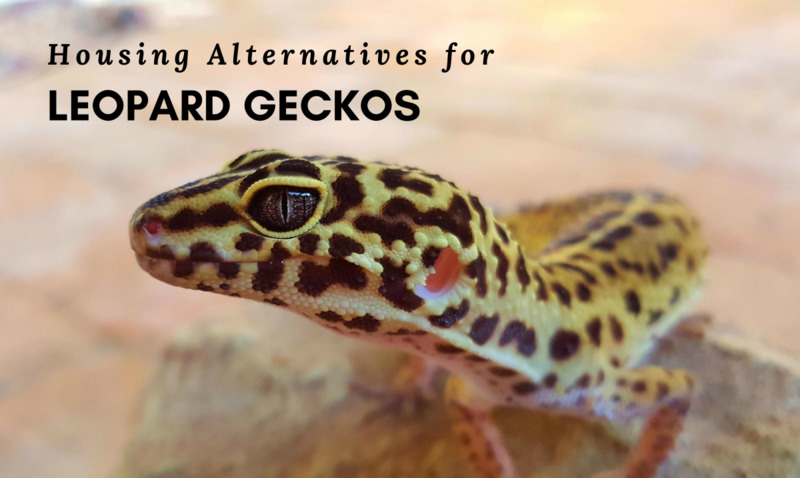 When caring for geckos, the gecko really doesn't have to worry about predators, unless your cat can get into the enclosure or you are inappropriately housing the small gecko with a larger reptile (which is BAD and you should separate them). But, pet geckos will still drop their tails when they are stressed or threatened. First off, if you are housing your leopard gecko on a loose substrate such as play sand, calci- sand, dirt, and wood shavings, you want to remove it all and throw it in the trash or outside (however you want to dispose of it). 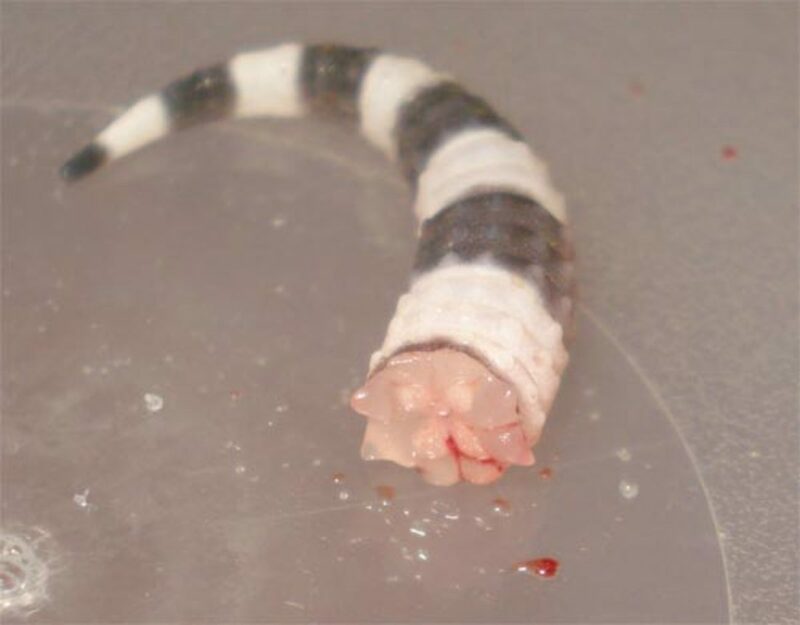 If you leave the gecko on the loose substrate, it will be hard to keep the wound clean, as the substrates can get into the open wound and cause an infection. Next, if you house the gecko with a mate, you want to set up a hospital tank with paper towels as the substrate. Make sure that you have appropriate heating and overall housing in the hospital tank. You want to enclosure to mimic the regular enclosure to reduce stress. The key to making sure that your leopard gecko successfully regenerates its tail is to keep the area clean and keep the leopard gecko at appropriate temperatures of 90F. You want to continue feeding the gecko as normal, removing any uneaten crickets after 15 minutes, give or take. You also want to check on the leopard gecko daily, so that you can closely monitor the wound for signs of infection. If you think that you see signs of infection you can apply a very thin layer of Neosporin to the base of the tail. The Neosporin will also help relieve any pain as well as help fight off infection. 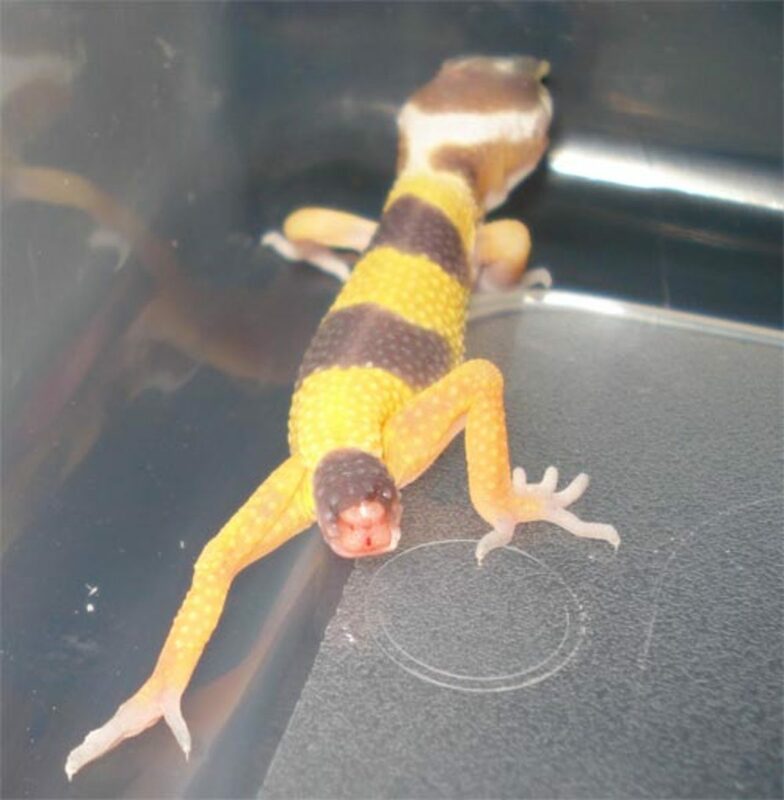 If the tail IS infected, and the Neosporin did not help, you want to take the leopard gecko to a qualified reptile veterinarian as soon as you can. I would watch the tail for about 3 to 5 days after you first see signs of infection and after you have started using the Neosporin before you decide to see the vet. Just make sure that you do not let it get too serious before acting on it. 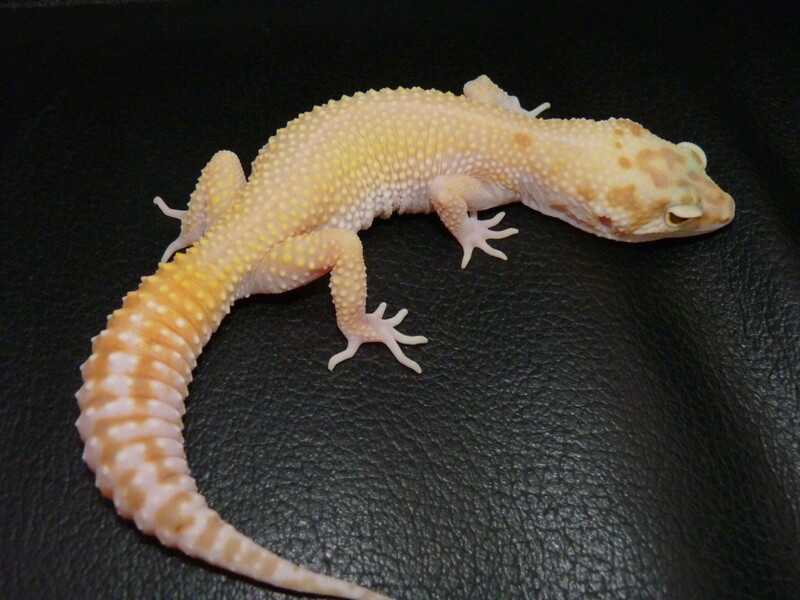 Below you will find pictures of a successfully regenerated leopard gecko tail from day one to day 31. Alex, sometimes their bodies don't think they need the tail anymore, so it doesn't grow back. From my minimal understanding, this is perfectly normal. If you are very worried, I'd suggest a vet call at least. Use papertowels or clean foam. DO not include anything loose that could move and go into your gecko's wounded tail. Most of that "care" is silly overkill. Geckos regrow their tails just fine in the wild, without anyone cleaning the stump or keeping them away from the equivalent of substrate. Oh, and there's mounting evidence that neosporin actually is bad for a human wound, much as it turns out hydrogen peroxide definitely is. So I wouldn't put it on a lizard, either. Again, if the lizard is healthy and well fed (including being free to choose what nutrition it actually needs), then its own immune system can handle things just fine. My geckos tail fell off today and his name is Franko we think he got in a fight with his wife Fregreka because she was holding his tail. Or he is starving to death because he is super skiny and his skin is turning pink but he won't eat! Ok my gecko droped her tail can they die i have another gecko in there with her and also the other day i droped her and she started flicking her tail but she stop i thought she was going to drop it but didn't till today is that normal? My lizard was in his cage for a while. i went to get him later and he didn't have a tail. why? 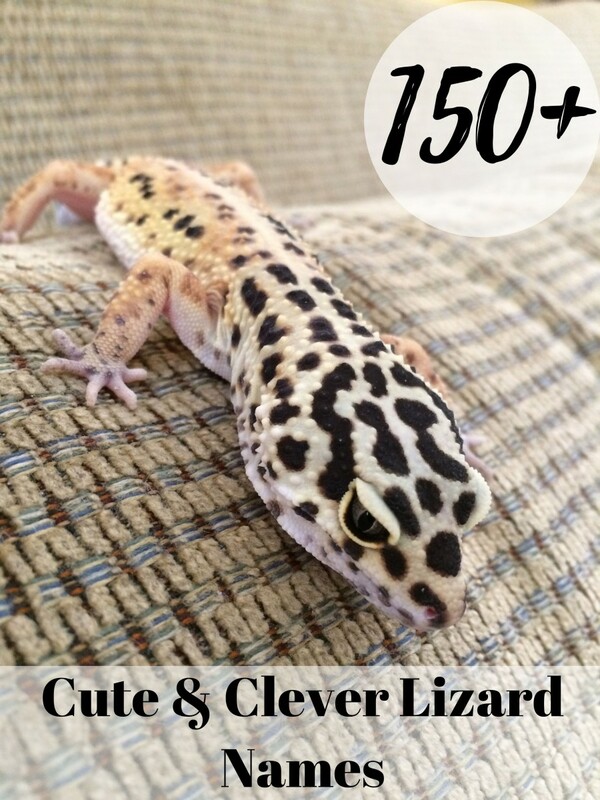 i am going to get a leopard gecko and I am worried about its tail falling off, how do i prevent it? please reply soon. my gecko just dropped its tail. Before that he was shaking and twisting his head around when i was holding it; he looked dead not moving. Then after he was able to stand up he walked around and then dropped his tail. he also got sand in his eye. I dipped him in water but the eye doesn't look as clear as his other. He also was twitching again. I put the calcium supplement on his food the same day is tail was dropped. I am going to remove the sand tomorrow so his tail wont be infected. Should I do anything else to help him out? How do i prevent tail from falling off? My gekos tail is falling off and it lives in sand. What should I do so it does not get infected?!?!?!?! my leopard gecko just dropped his tail because if was getting fed and his wood hut got dropped on him. I just feel so bad. It never should have happened. The tail was beautiful. Anyway, should we feed anything differently? Or more often? my leopard geckos tail hasn't even grown half way back and its been a year is this bad? 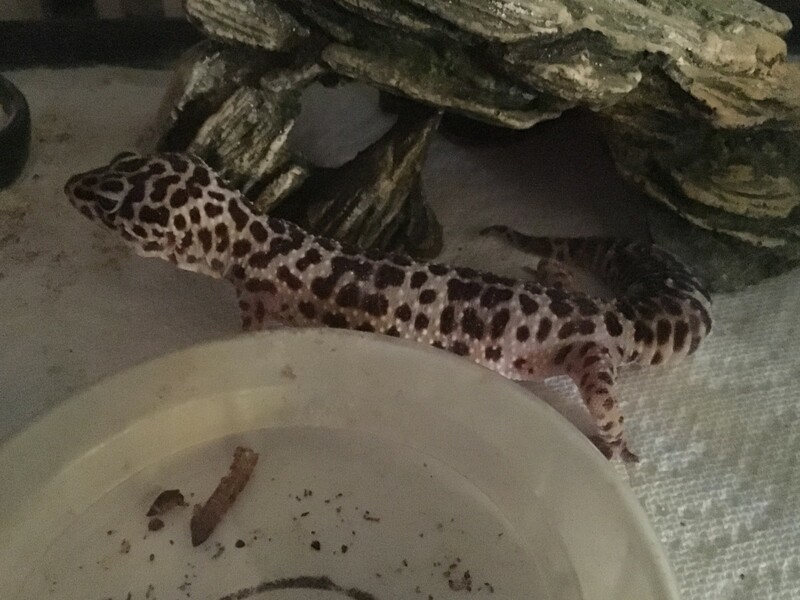 My sister's gecko's tail fell off yesterday. she doesn't have tank mates. We didn't touch her at all. i want to preserve the tail how do I do that. My gecko is about 5 years old. I was out of town for about four days this week and asked someone to take care of my house and housesit. When I came home, I think they were looking at my gecko because his shelter was moved off of the heating pad that I have for him. When I saw him,a very small part of his tail had fallen off. Was this just my friend handling him wrong and scaring him, or was it a heating issue from his shelter being off the heating pad? Also, I keep a little bowl of calcium powder in his habitat for him to eat because I read that you should do that. I also feed him regularly. I don't think that malnourisment is an issue. I just don't see how the tip of his tail could fall off. I thought the whole thing falls off. What should I do to keep it clean? Will it grow back all deformed and weird? It sounds like a nutrition problem. Is the gecko eating? What substrate are you using? What are the temperatures? Do you think its fine feeding a 6-7 inch leo superworms? My gecko lost his tail about a month ago and it is growing back nicely, but now it looks like he is starting to shed - but only on the tail and the skin won't come off. Any ideas? Should I be worried? I would be careful, as you don't want the gecko trying to climb on it and getting a thorn in the toe. There realy isn't any odd type of albino. There are three strains, none of which are considered odd. 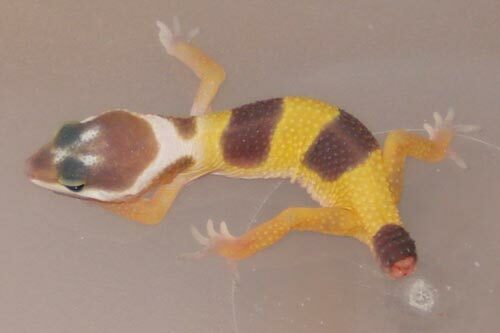 A malnourished gecko may have trouble regenerating, or the gecko's regenerated tail just may not grow back fully. 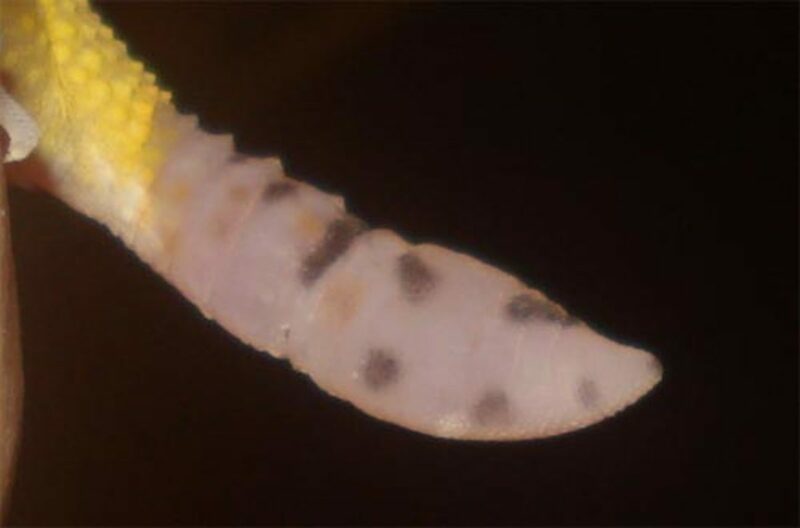 Regenerated tails aren't all the same, and not all geckos grow them back the same. The morph isn't going to lead to vitamin deficiency. A poor diet and improper husbandry would cause illness though. I bought a leopard gecko that had recently dropped it's tail. It's been a year and it still has not fully grown back. It grew fast at first, but slowed down after some time. Is there anything I can do? P.S. I don't know if this makes a difference, but it is a odd type of albino. It still has the pattern and pigment in it's eyes, but no color. I forgot the name for it. But could that lead to some vitamin deficensy that could prevent the tail from growing? I would keep an eye on it for now. You helped me when my gecko's tail fell off, and now I need your help again. While I was giving Geico water this morning, I watched him lap it up. I noticed that the front of his tongue was bright red, and then it gradually faded into a soft pink. Also, the part of his tongue was bright red, was a little bigger than the other tongue. Can you help me? Thanx. If it's from one of the breeders, I recommended, it'll be a healthy gecko. Good luck though. $35 is actually a lot for a plain albino. That is odd, as I have seen leopard geckos for sale on those sites that fit your budget. I saw them yesterday. You may need to shoot them an email. 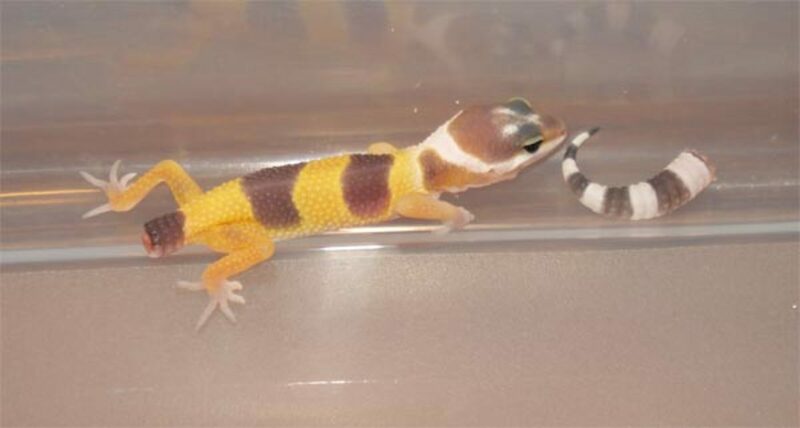 Yes,the last is my site, and the two leopard geckos that I have available are the only two. You're going to pay more for emerines and raptors than the other morphs, but depending on the quality of the morph, you'll pay more or less. You probably won't find a raptor or emerine for $40 or under. Check out these breeders. They may have something you're looking for. I think one actually has Raptors for $40. im looking for any morph in specific but it has to be a adult female and not to expensive, but i open for any kind. And yes that would be helpful. There are many breeders selling for cheap. 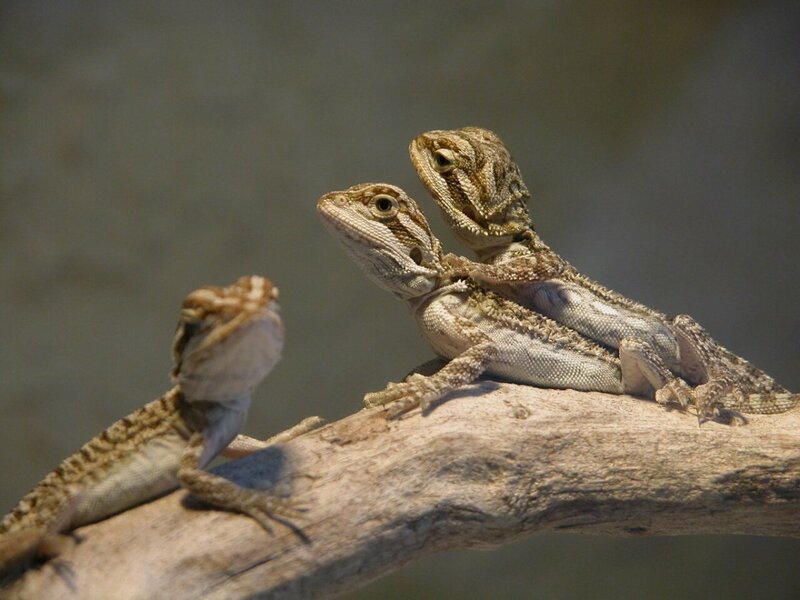 The higher end morphs may still come with a price over $40, but that all depends on the breeder and the quality of the animal. What are you looking for, and that will be easier for me to narrow down breeders for you. It is possible... Unless she absorbs them, which is common for first time breeders, or if she becomes egg bound. 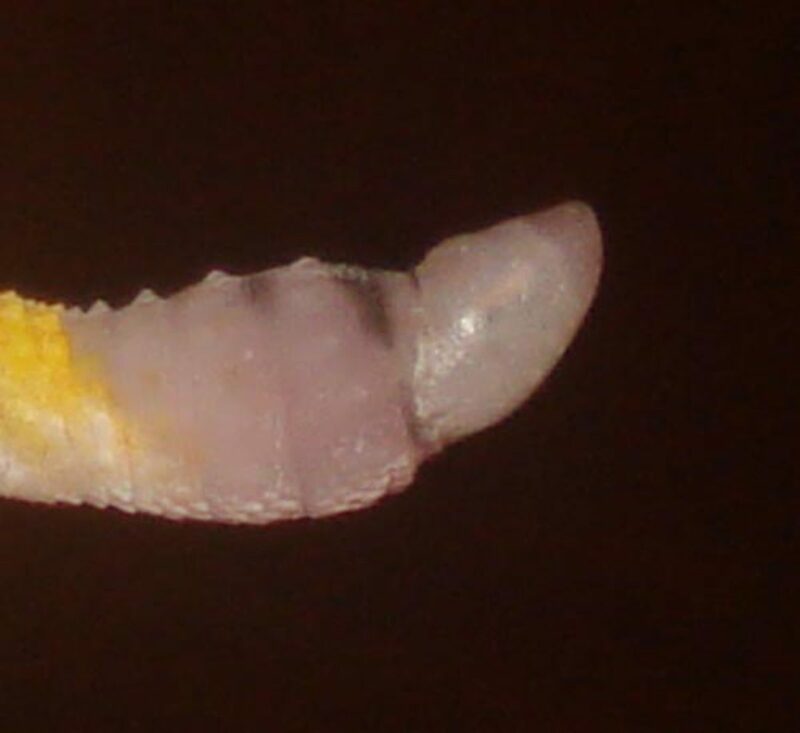 The female is either ovulating or they are eggs. i have a home made incubator and yes the right equipment. Theres two white things in her lower belly but they dont like eggs, is it organs or something my male doesnt have it. If they are of breeding age and weight, they've probab.y already bred. It can take as long as a month or more for a first time breeding female to lay her first clutch. Do you have the incubator and proper equipment ready for hatchlings? They can have up to 16 a year with just one mating period. 30 gallon tank has the surface area of a 20 gallon tank. It will fit two geckos, but is actually the ideal surface area for just one. The problem is that 30 gallon tanks are taller, which make it a little harder to heat. 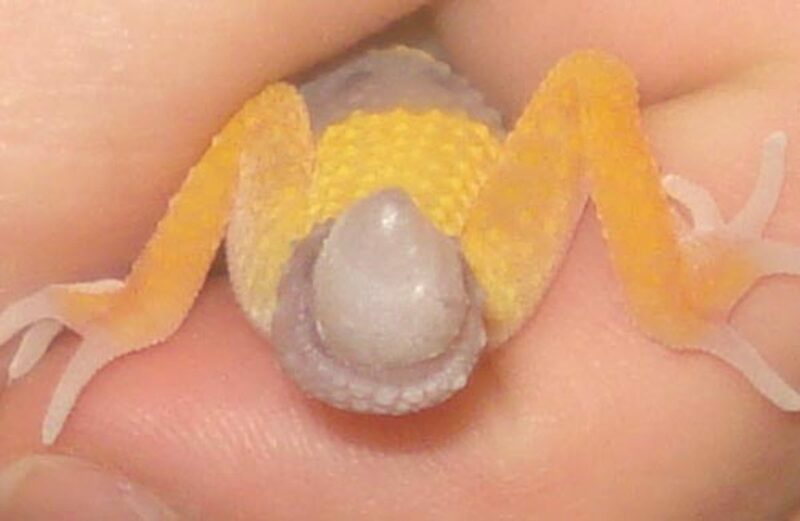 Plus, keep in mind that geckos prefer to be housed individually, and they do better when housed individually. Your male will breed with the female, and you won't be able to stop it. The new gecko would need to be quarantined for at least 30-60 days to ensure that it isn't ill and doesn't carry parasites. Bullying and stress will always be a concern. so maybe a 30 gallon tank? Neither of those tanks will fit all three geckos. Both a 10 gallon and a 15 gallon is only suitable for one gecko each. Remember that any new gecko needs to be quarantined for 30-60 days before introducing it to existing geckos. hi, i have two geckos, a male and a female, and i was thinking about getting another, i have a ten or fifteen gallon tank, if i put enough hides is that good to house them. Remove the sand, it can cause impaction. The pet store you bought her from has no clue what they're doing. Plus, the sand will infect the newly dropped tail. There's nothing you can do and no need for medications. Just remove the sand to prevent infection and impaction. Without a proper thermometer, you can't know for sure whether or not the tank is too cold. Definitely don't guess. What substrate are you using? How long have you had the gecko? Have you tried another insect other than what the gecko is used to? hi i have a gecko that dropped its tail and it seemed fine until now that i look at him he seems really skinny. his spine seems to stick out more than usual. i gave him mealworms and i left them in there cause he wouldnt eat them right away. i think he ate a few of them cause there not all there. i have a heating pad in the cage so i dont think hes too cold but idk whats wrong. im afread hes not going to eat enough. The gecko could have overeaten or it isn't getting proper temperatures. Ok but the other day i also noticed something in the tank there was a bunch of smushed together and im guessing one threw up, what happened? Christen, it's hard to say what to do other than to just keep an eye out. Today was a horrible day in our home. I walked downstairs to find our jack russell terrier had jumped thru the top screen of our 4ftx2ft all natural, self-sustaining terrarium. I walked downstairs to find her frantically digging & running thru the tank - our leopard gecko was upside down without his tail. We removed them both immediately. Cleaned our gecko and placed him in a separate clean container back into the terrarium so he can get warmth. He is traumatized - his color is pale and he is not moving much, but is breathing what seems to be normally. We too are traumatized. Our terrarium is our fav hobby and we baby it and our super awesome gecko. Any advice would be helpful. There are no herpetologist available and we are in hopes that we can nurse our little friend back to health. Help us help our gecko please! He stopped bleeding is he fine now? He's also not eating its been 3 weeks since ive gotten him, what can i do? well i found a little red around the where he poo's on one. If you have them housed together, it could be bullying. It could be parasites. 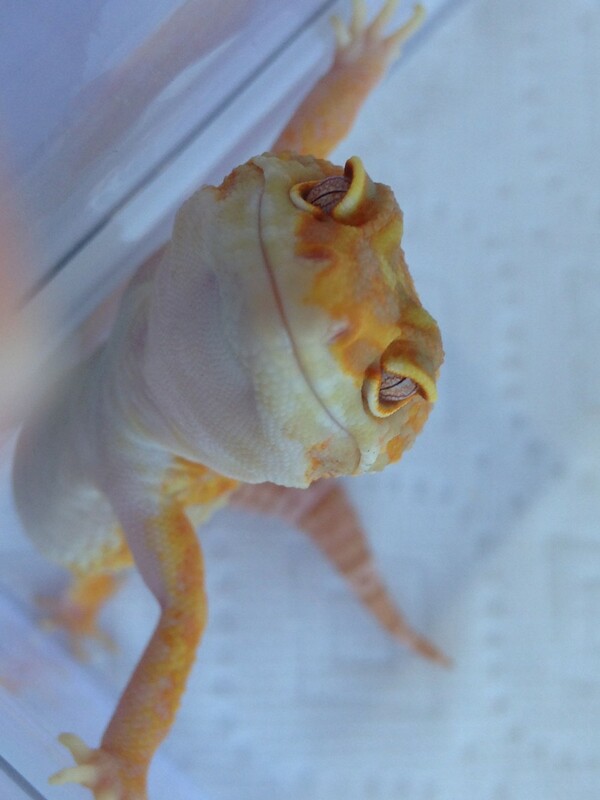 Do you see a cut or any dried blood anywhere on the gecko? The toes are the hardest spots to shed, but with proper humid hide, temperatures, and overall health, the gecko shouldn't have any problems. Humidity on a regular basis should be low, but as mentioned in the comments and on my care sheet, that a humid hide is a must! It helps ease shedding, but should only be moist when the gecko is going into shed. You can use water instead of the shed aid. It does the same thing. By buying the shed aid product, you're just wasting that money, when water does the same job. You also have sand in the enclosure which is a nono. I only help remove the skin when it is soaked in the Sheeding Aid because I know not to pull it off. 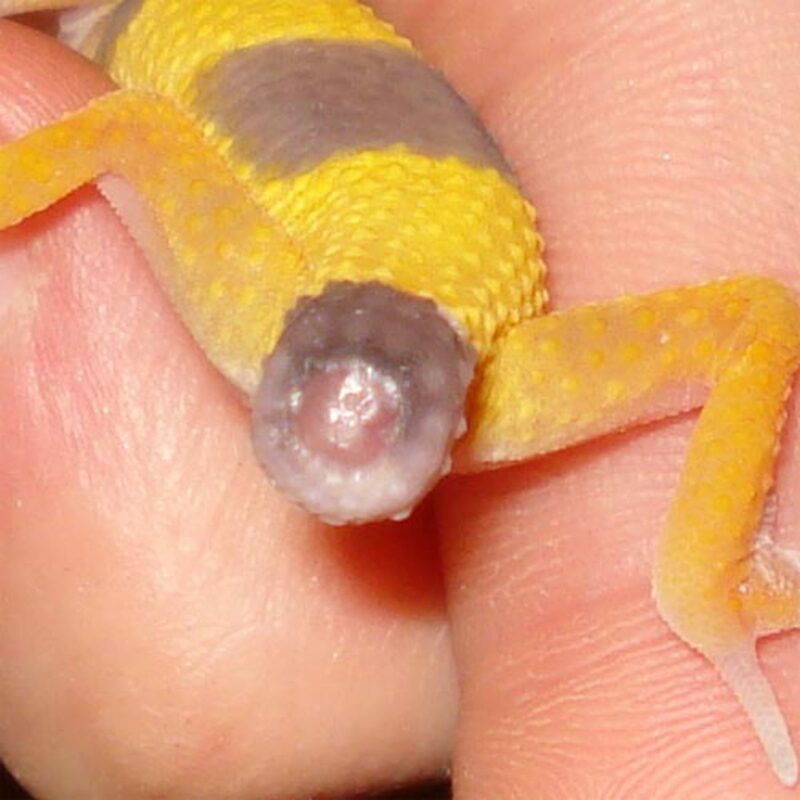 But the skin, even for Geckos that sheed easily, is tricky for them to get off of their toes. My gecko had that problem all the time until I helped him with the Shedding Aid. I only help remove the skin on the toes because the rest comes off fine.I didn't know about the tubberware container part through, I'll try that instead of buying some shedding Aid, Thanks for the tip. I don't really understand what is needed humidity-wise in the tank. The information sheet I got told me to keep humidity at 10-30, pretty dry. Does humidy effect the shedding process at all, and if so what is needed to help my Gecko????? Anna, the sand is a bad choice of substrate to begin with, as the gecko can ingest it and become impacted, which can be fatal. 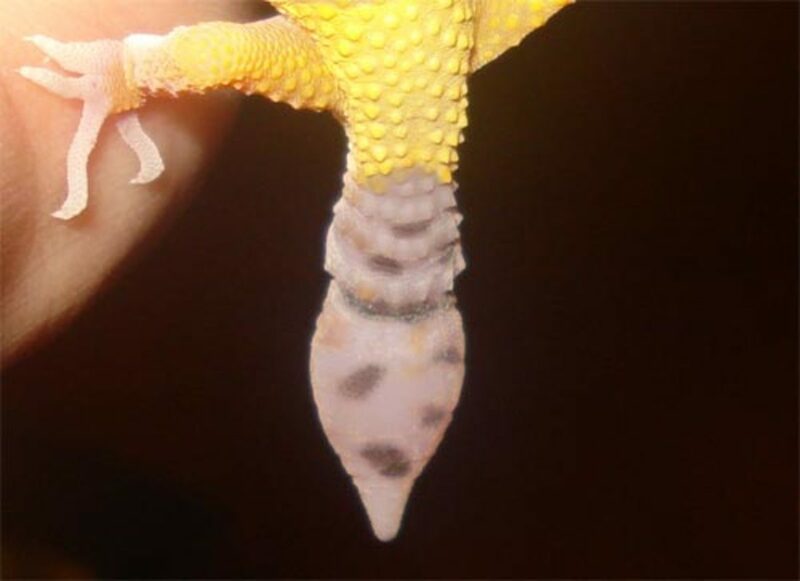 If the gecko has recently lost the tail, the sand needs to be removed, as it can infect the wound while healing. Megan, a healthy gecko will naturally have a fat tail. I've seen some geckos though that naturally don't have a super fat tail, but are still really healthy and not underweight. Generally a healthy diet of crickets and/or mealworms will be fine. Make sure that you have a humid hide that is moist when the gecko is going into shed. Anna, it's not safe to pull off the skin unless you've soaked the feet and losened the skin. Plus, it's cheaper to use a tupperware container, cut a hole in the lid, put moist paper towels in it and create a cheap humid hide. Shed Aid is an overpriced product that is really a waste of money, as water will do the same thing. Megan, I had the same problem with my leopard Gecko's shedding. I bought this stuff called Shedding Aid and it is like a conditioner for their skin while they shed. Just spray it on them then rub it gently into their skin. However, even with the Shedding Aid, you many need to give her some help. I pick up my gecko and hold him in one hand while I use twezzers (the small ones you use on your face and such) to remove the shedding very carefully. 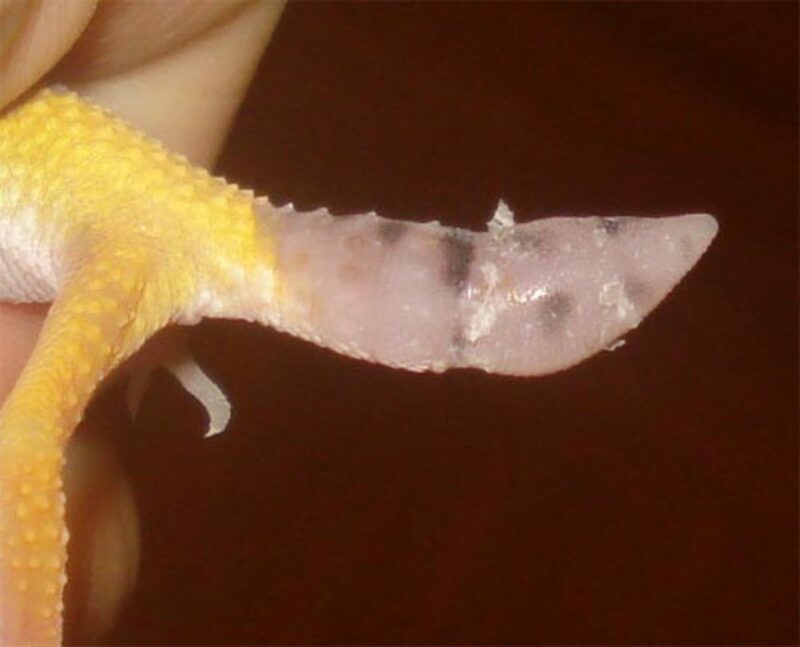 The Shedding Aid even helps to remove dried on sand on the toes of the gecko. Sheddin Aid can probably be found at any pet store and is about $6.00 to $8.00. Dispite the proice it does help the shedding process. My gecko has been having trouble getting the shed off her toes and her toes have been falling off. she doesnt have claws any more too. What can i do to help her? I was wondering how to get a really fat tail for your gecko. i know a lot of people who feed there geckos meal worms more than crickets and they have super fat tails. Is that better for them? Hi, I have a leopard Gecko that lost his tail and it healed back wonderfully, the only problem is that when he gets the new tail wet the sand will stick too it. When I get the stuck sand off with a skin conditioner it is a little bloody. Does this mean that he can no longer have sand in his cage because his tail is so soft that if it get's wet the sand will harden onto it. Throw it out. There's no need for it to be in there. what do u do with the tail once it has fallon off and its wigerling around ?? I'd just leave it alone. is temp ok in the 90's 24hrs or do I have to figure out a way to lower it during the night? Lynda, I didn't think 78F was right. Ha. You may want to prop up the reptile carpet with something, like try putting another piece of carpet down or adding some paper towels under the carpet where the UTH is. This will help create a buffer between your gecko and the heat. You want the temperature to be between 85-92F, which 90-92 ideal. Kirstin, do you see anything in the eyes? Like skin or anything that may be causing the eyes to stay closed? Are they puffy? Do they have any discharge? You may want to do a lukewarm soak a few times a week, and try to loosen any skin around or in the eyes. It may become infected, which you'll need to have a vet check out the gecko. Definitely add a humid hide to the enclosure which will make shedding easier for the gecko. You seem to know a lot about reptiles... 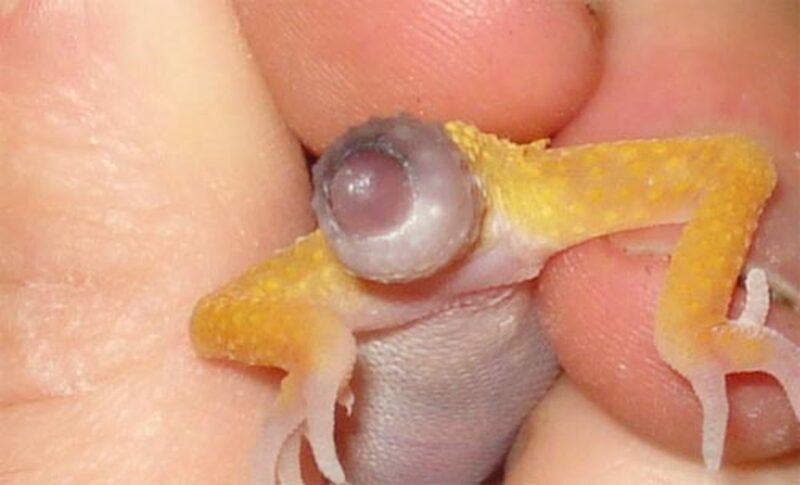 I was wondering if you know what to do when your gecko doesn't open it's eyes. Apparently, my husband said that he didn't know that it needed more moisture when shedding it's skin and now it's eyes won't open. He's been following the recommended saline solution eye drops, but it hasn't corrected the problem. We're going on over a week now with this issue and I don't think it's eating because it can't see. Any suggestions? I did just that and now the probe is more in the middle of the heat pad. Big difference! Unfortunately when I got up this morning it read 100.4!! My leo was in her humid hide and I unplugged the heater. That sounds a little high. I thought I should let it cool down. Can a person put a thermostat on these heaters?! Matbe I need a buffer? I thought the temp extremes were 70-90 degrees. Try lowering the probe to see if full contact will get a better reading. If the temperatures are still below 80F, you'll need to find another heat source, such as the heat bulbs. You can provide calcium in the worm dish, that will be fine. You'll just have to change it a little more often. daytime temp is reading 78.5 right now but I also have the red light on (careful not to call it a heat lamp, but your are right, that's what they call em!). I had checked late at night so it had been on for over 6 hours. UTH takes up about 1/4 to 1/3 of the tank on the bottom. Perhaps my probe isn't positioned correctly. I have it pointing down onto the carpet and touching it, but it is suctioned to the side at the same time. Maybe not enough of the probe is touching the target? It's really just the tip. Bulb is a 50w infrared. I have seen the ceramic ones you speak of. How's about that calcium? separate dish or ok with the feed worms? Reptile carpet is perfectly fine. The red bulb isn't manufactured to increase temperatures, and it's not a heat lamp. Lights are just to provide lighting; the true heat lamps do not produce lighting and are ceramic coil. The UV bulbs produce more heat than a regular light (even those that are labeled as basking lights), but those aren't necessary for leopard geckos. Is the UTH appropriately sized for the tank? It should cover about 1/4-1/3 of the tank. Sounds like you have a 20 gallon long tank, so a 10-20 gallon zoomed uth would suffice. It is odd that it's reading so low. How long did the probe stay there before it wouldn't top over 75? ok, I went shopping. Purchased an UTH, small, (my tank is 24"L x 12" W x 14" H. Also got a hide with moss. Made the moss slightly damp and put it on the warm side of tank. Got a digital thermometer, and put probe on the bottom. Problem: The surface temp is always about 75 degrees. I put the red heat lamp on during the day but that doesn't necessarily increase the substrate temp (I use reptile carpet) Is that ok and will my leo seek the warmer temp up higher nearer the heat lamp? Yes he can climb up onto wood to bask. Also, can I leave some calcium powder in the feed dish (I have a baby that is eating mealworms that are dusted)so that even after the worms are eaten, there is still powder in there or does it need a separate "bowl" too? It's an under tank heater, so you want to put it under the tank. They can't see red, so it's not bothering the gecko. It's doubtful that the light is putting off enough heat to affect what the gecko is feeling on the surface of the tank. You want to use a digital thermometer with a probe to monitor the surface temperatures. There is a link above for care, as well as another for setting up an enclosure. The UTH goes under the tank itself or under the carpet substrate? (sorry, new at this!) The heat lamp is a pet store purchase, typical red light of 50w. It gets the temp up but I am worried about the constant red light for at night. Also, I assume I only want to "heat" half the tank.....so not the side where the food and water are located?! What I don't have is the damp moss "hut" that is recommended....my leo is a baby so I assume that is quite important for it's shedding. Can you tell me what the best set up is for that and/or misting requirements? The UTH is best for leopard geckos, and you won't need the heat lamp at all. You want to make sure that the surface of the tank is around 90F, not necessarily the air. Any sources of light should be shut off at night around the same time each night, if it's just a true heat bulb, it won't produce light, and more than likely, you'll need it on throughout the day/night during the winter. I would suggest a timer, if it's a light. I would advise the purchase of an under tank heater. we just brought our baby leopard gecko home and don't have a heat pad. We have a heat lamp, but hubby says only to have it on during the day. Is that advisable? Still summer here but what do we do when the weather changes: keep lamp on all the time? get a heat pad? I don't see why the tail would shribble up like that. 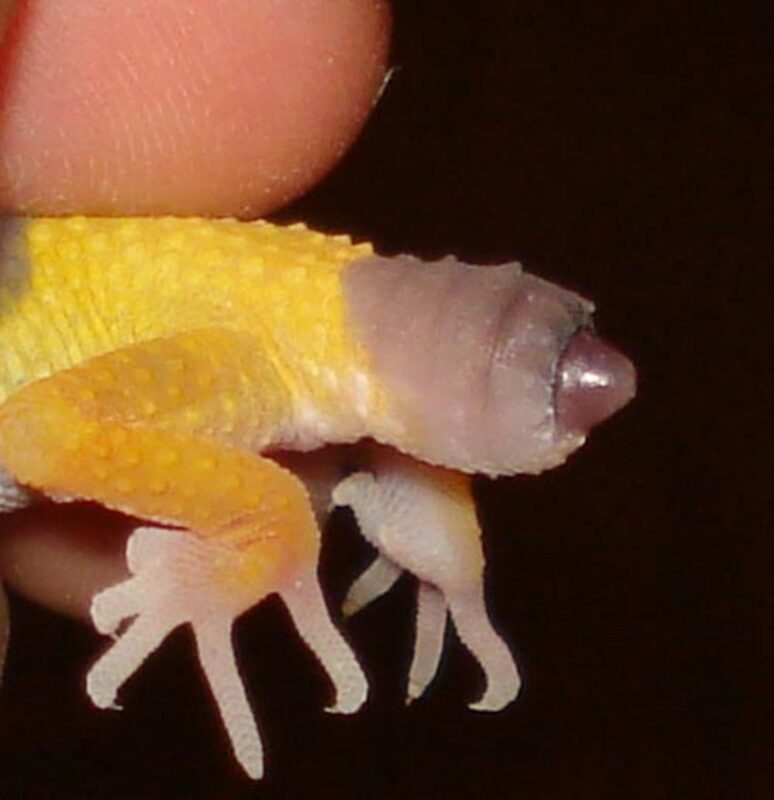 Keep an eye on the prolapse, as you may have to take the gecko to a vet for proper correction. Sometimes light prolapses can be corrected at home, but severe prolapses may need surgery. They are nocturnal, so you probably won't see the gecko out and about. Can you attach a picture? I'm not really sure what you're describing. We have a large leopard gecko in my store and he is in a habitat by himself. He rarely comes out from his hidey-hole so Im not sure what has stressed the poor guy, if in fact thats what is going on. His tail is extremely swollen and purple (it wasnt this purple before). It looks like it might explode! Is this a precursor to his tail dropping or is something bad going on? Any help would be so much appreciated! Ive already learned so much from your info, thanks!! I wouldn't recommend using the sand ever.